Oklahoma Connection | Russell came to Indian Territory and settled in Muskogee County between 1880 and 1882. Campbell Russell is remembered by historians for his support of the state capitol’s location at the geographic center of Oklahoma in Oklahoma City. He often referred to the site and the larger issues surrounding it as “the new Jerusalem.” Russell was also among the very first set of candidates to run for Oklahoma’s newly created ninth congressional seat in 1930. At the age of 19, Campbell Russell came to Indian Territory and ultimately settled in Muskogee County, Oklahoma. His first claim to fame came as he added 27,000 head of pure bred cattle, one of the first strains of its kind in Oklahoma, to his Prairie Stock Farm in Warner. Russell founded the first rural free school for white children in Indian Territory and paid the teacher’s salary out of his own funds. As enrollment at the school grew, Russell began construction on a four-classroom building in 1905 and deeded it to the township’s board of trustees upon its completion. 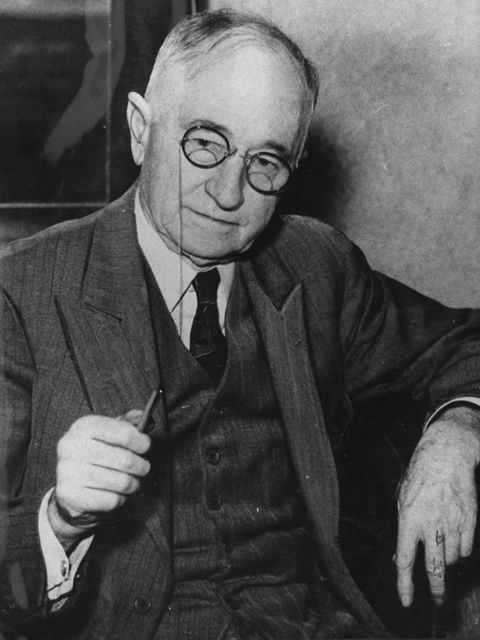 At Oklahoma statehood in 1907, he made his first successful run for the office of State Senate and served in that role for four consecutive terms. In 1916, Russell was elected to the Oklahoma State Corporation Commission. He was admitted to the Oklahoma Bar in 1922 and served as an attorney for Farmer’s Union and the Southwest Light and Power Company until his death.